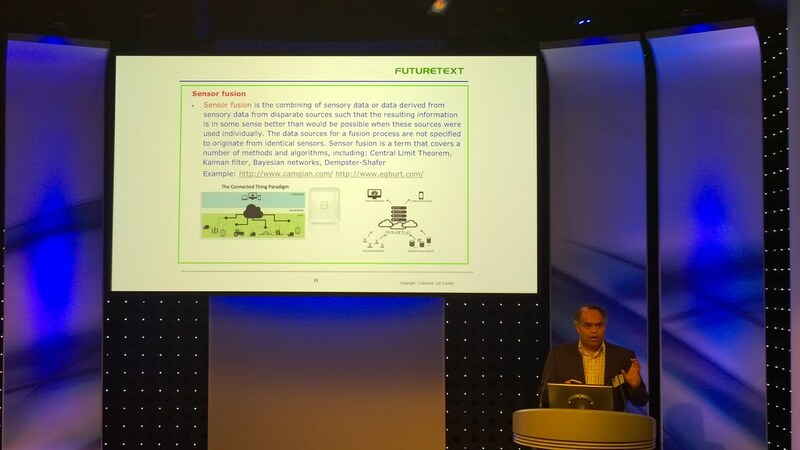 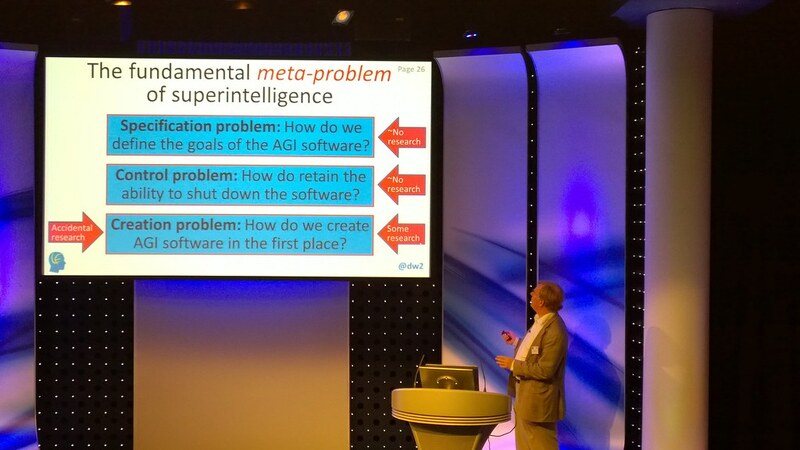 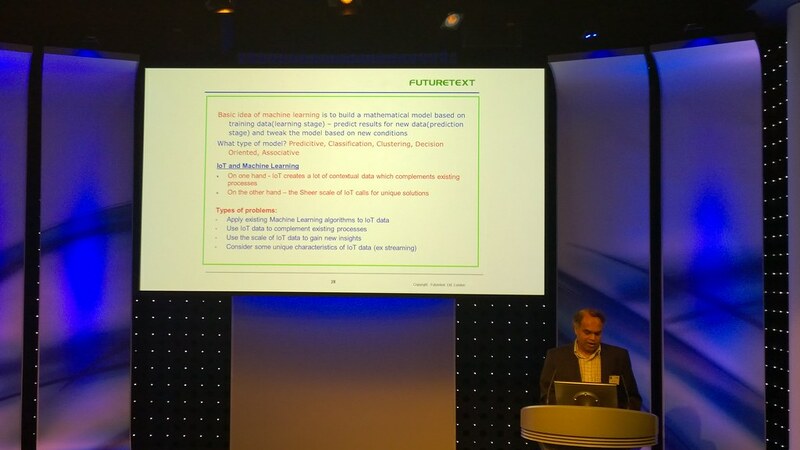 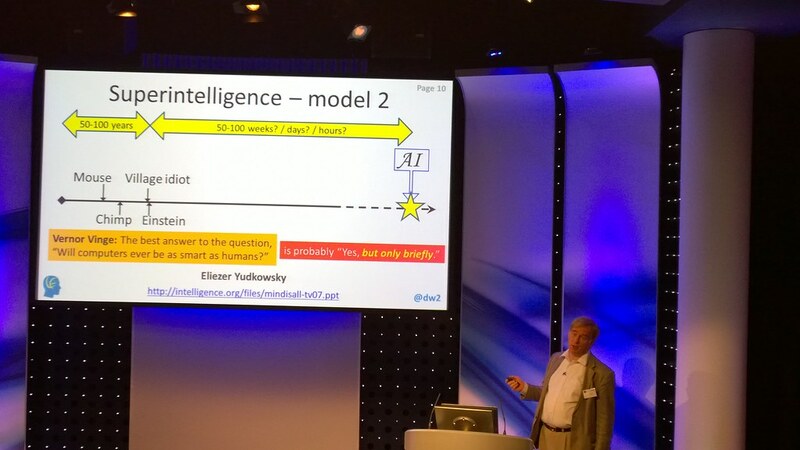 Yesterday I attended an unconference on computational Intelligence hosted by Daniel Lewis and the London Futurists group. 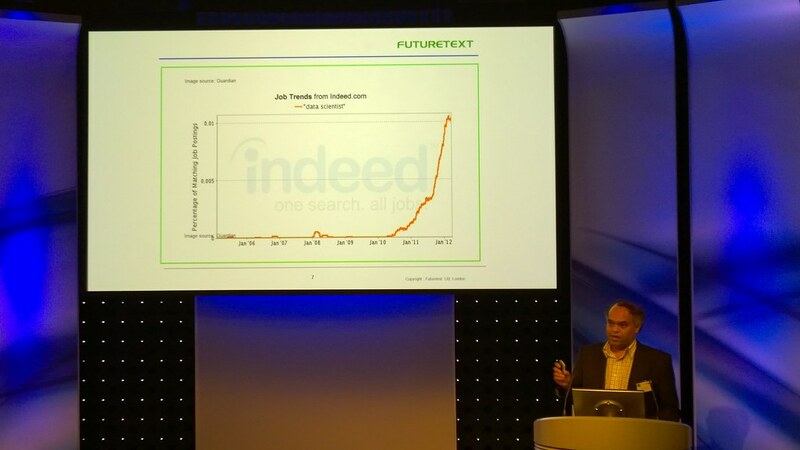 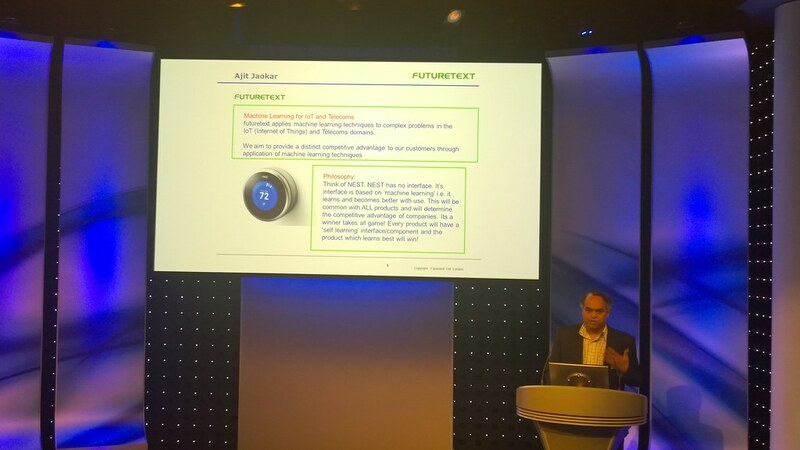 The event was a lot like the Anticipating 2025 conference I attended a few months ago but with more of a focus on Artificial intelligence, Machine Learning and the Internet of Things. 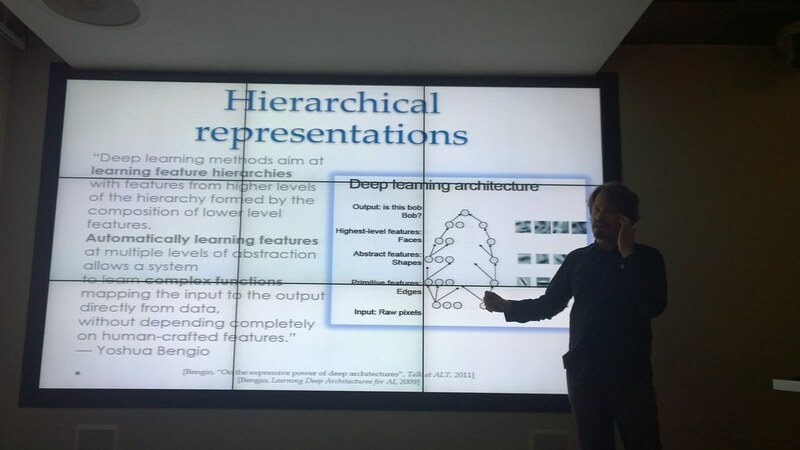 Throughout the day several speakers took the stage in different rooms where attendees could informally pop into the ones which interested them the most. 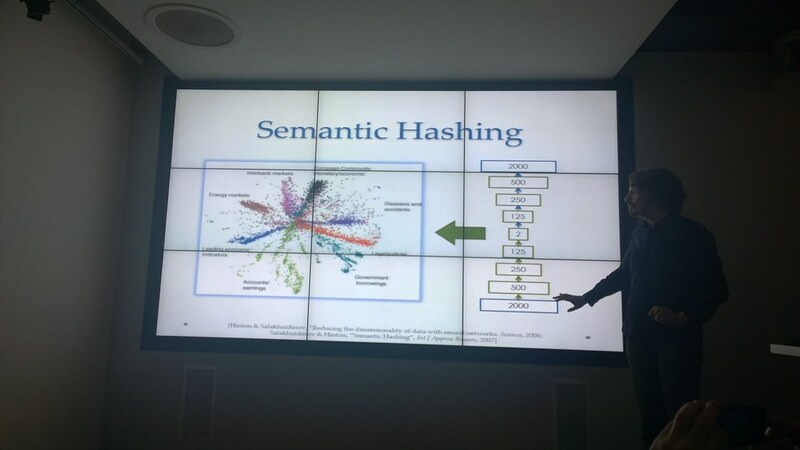 This was great as someone like myself who could attend all the tech-related talks, without going too deep into the more science or political related talks. 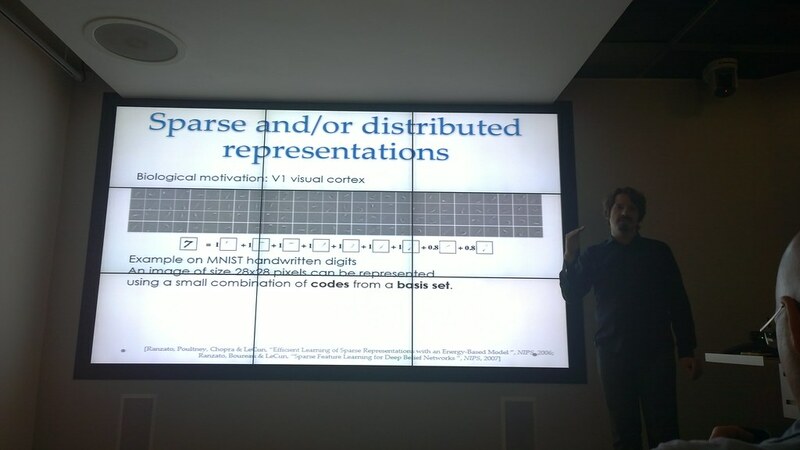 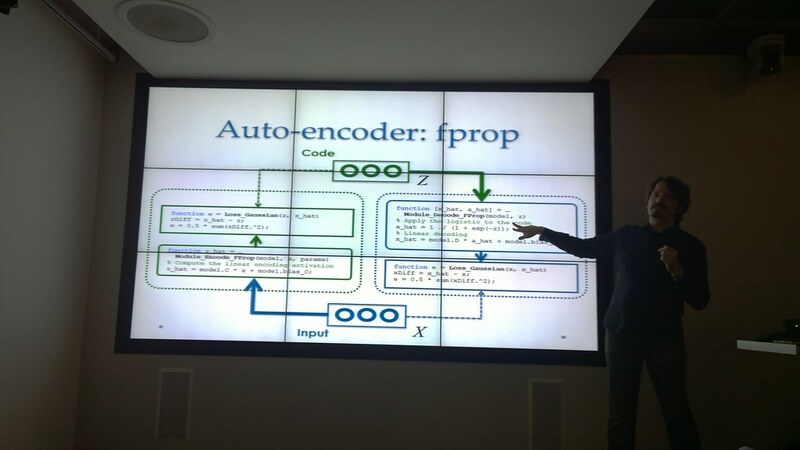 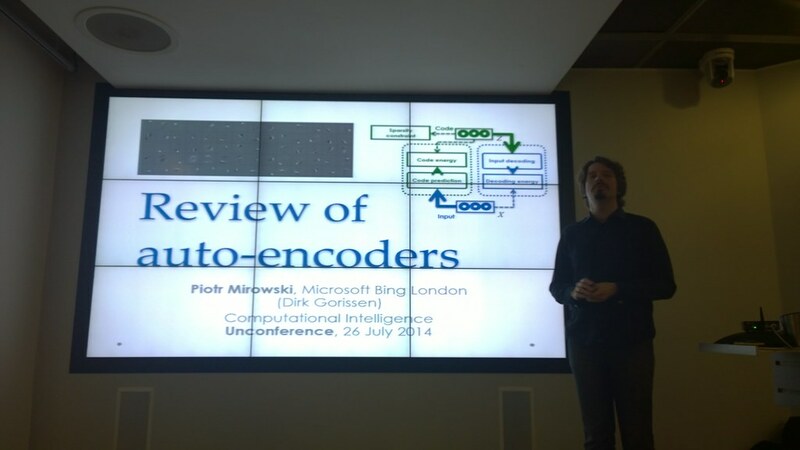 Piotr Mirowski gave a really interesting talk on the fundamental building blocks of deep learning algorithms and building an auto-encoder to learn from images, sound and text. 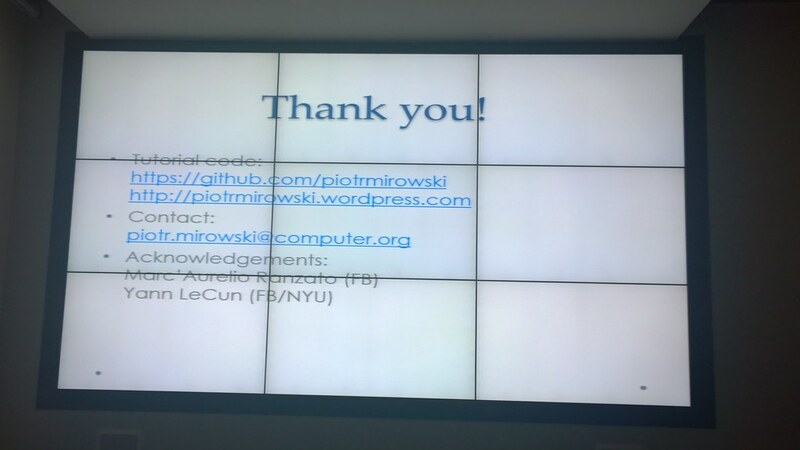 View his slides or blog post for more info. 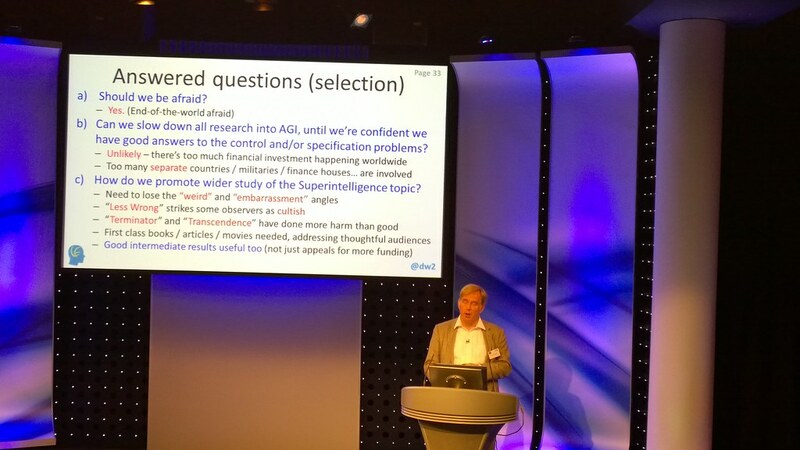 Superintelligence - how afraid should we be? 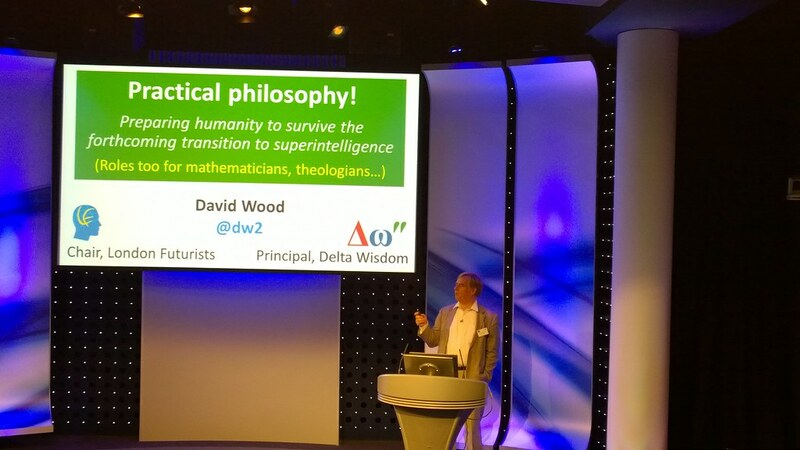 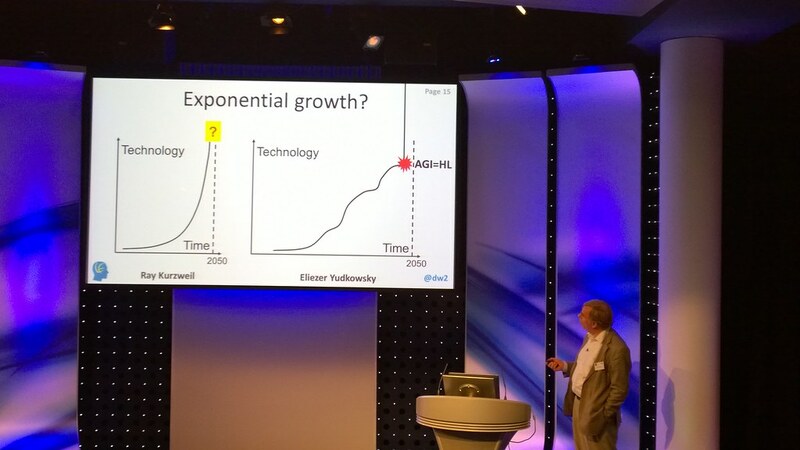 As always David Wood gave an eye-opening talk on the future of super intelligence and in particular the future intelligence of artificial intelligence. 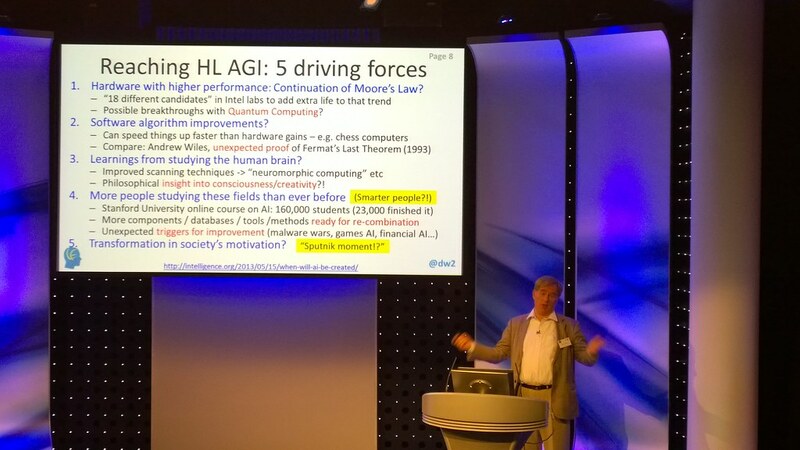 This time his talk focused more on the dangers of AI far exceeding human intelligence and what we need to be researching and investing into today to make sure the future is bright. 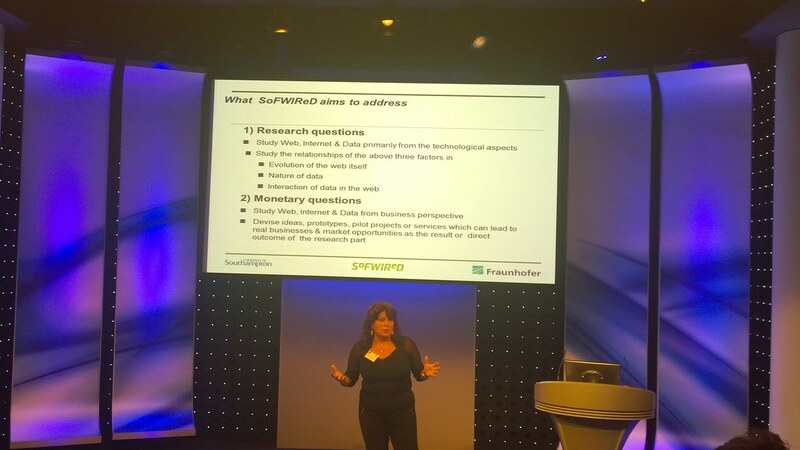 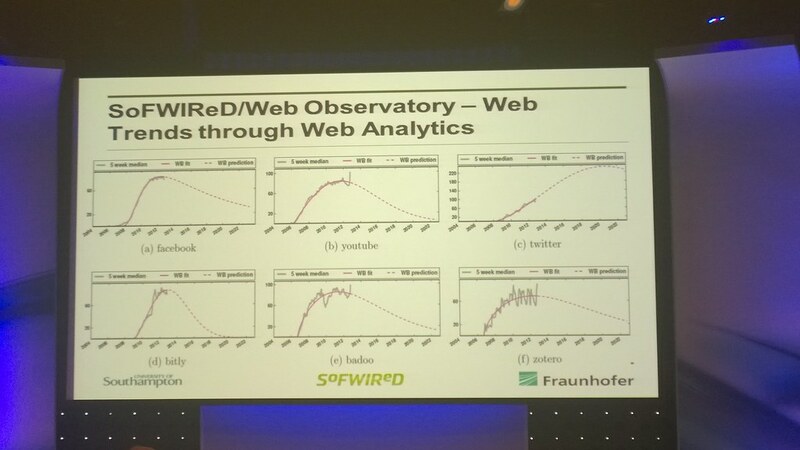 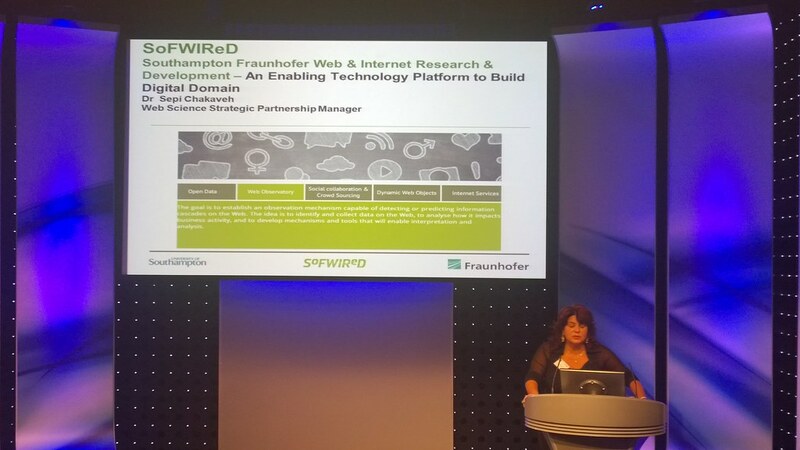 Sepi Chakaveh gave a talk about SoFWIReD and how they help companies use future technologies. 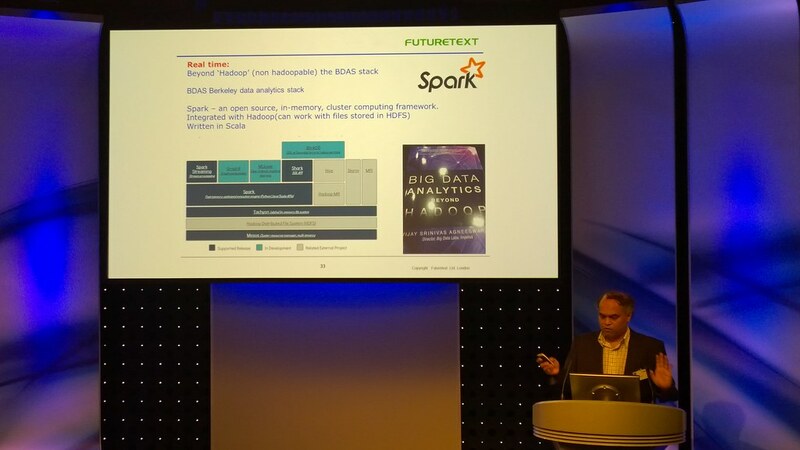 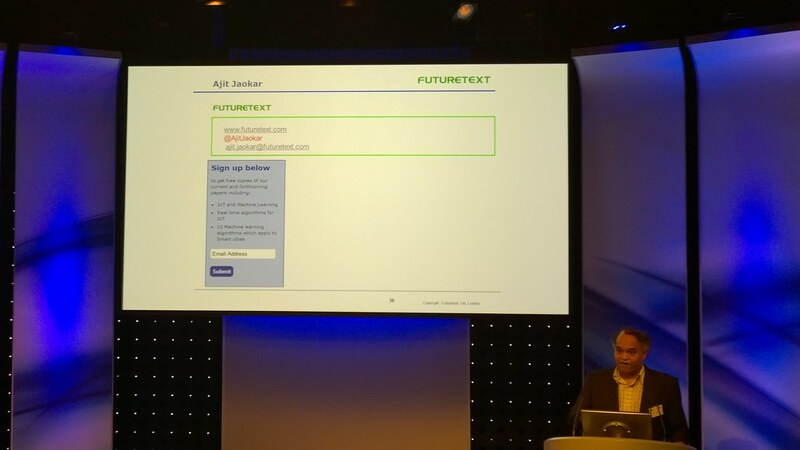 One key theme explored was the size of 'Big Data' and how much of a problem it's going to be in the future as we spend more of our lives online, ever-more quantities of data is being stored and handling the data efficiently is the difference between Facebook and MySpace. 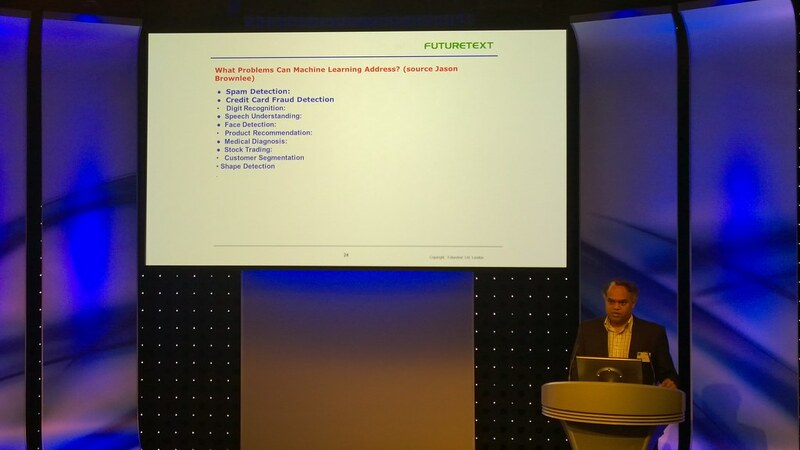 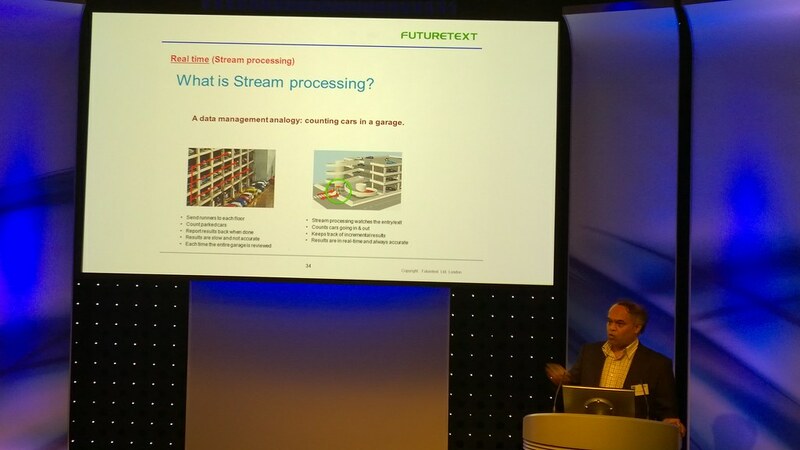 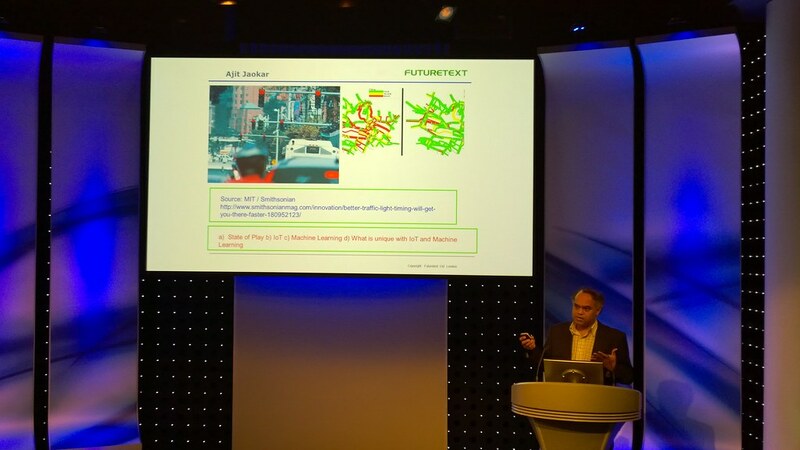 Ajit Jaokar gave a brilliant talk on the convergence of IoT technologies and machine learning to "make dumb things smarter" and making "living things more robust"